Welcome back guys. 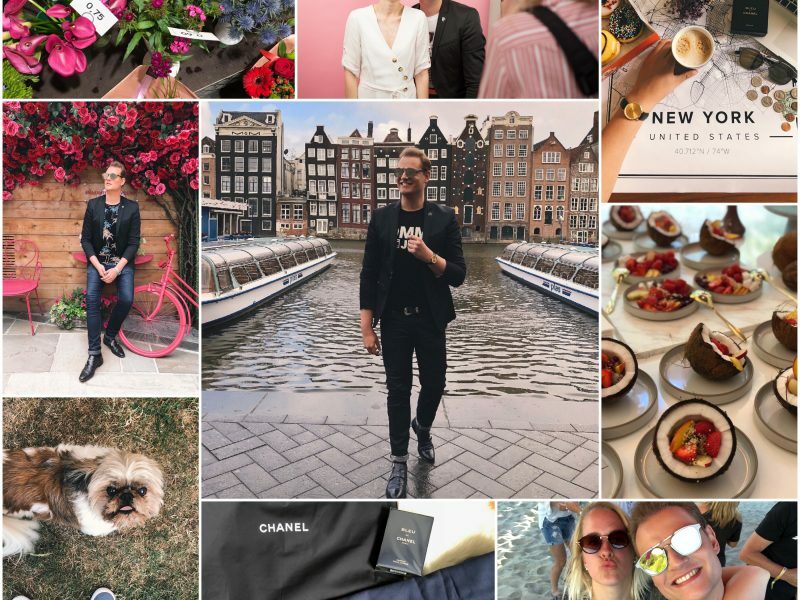 It’s time for a new July Photo Diary. I can’t belief within 1 month and a few weeks I’ll be walking in the street of New York City. So bizarre – we booked in January and it felt like a whole year and now it’s almost time. Anyways July was a cool month. 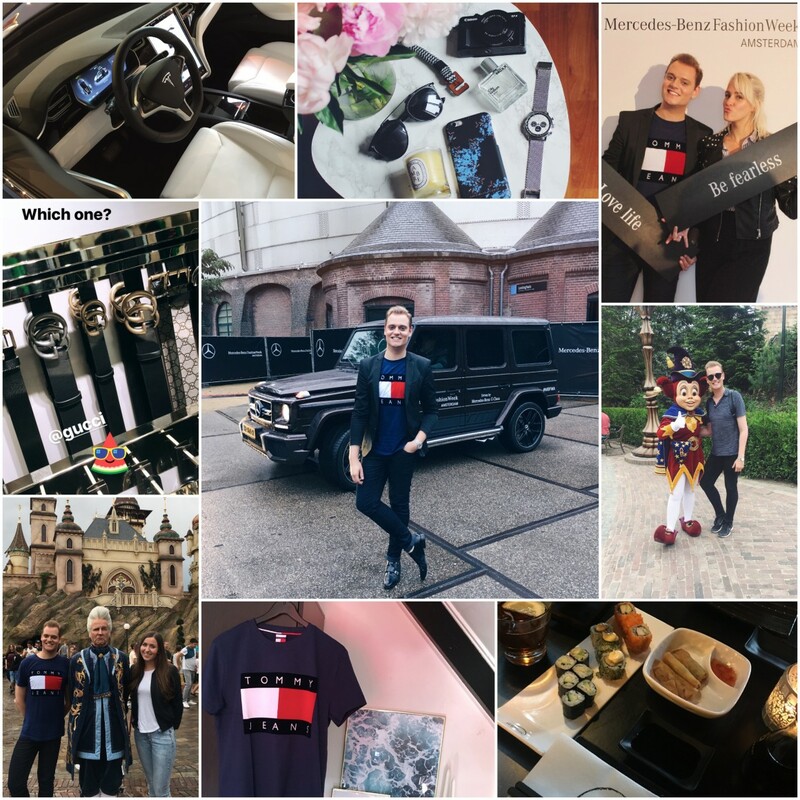 I went two times to the Efteling and went to Fashion Week and enjoyed a week off from my work. Let’s start this photo diary. I received two cool phone cases from Richmond & Finch to promote on my Instagram. 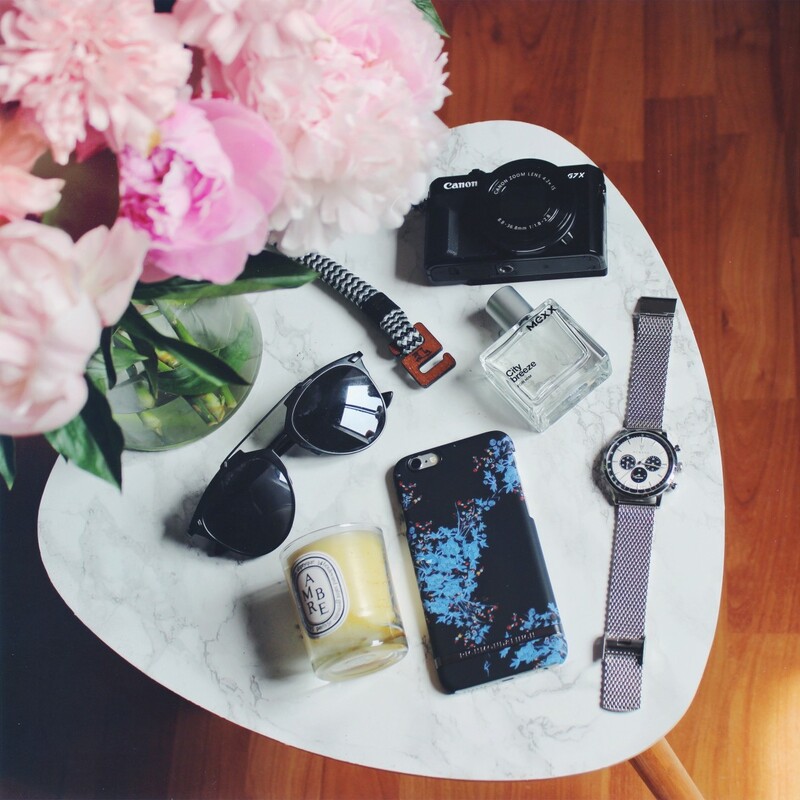 If you like marble cases just like I do – don’t forget at checkout to use discount code justkvn20 to get 20% off your order! Also I received that bracelet from Goat and Oaks and the fragrance from Mexx. 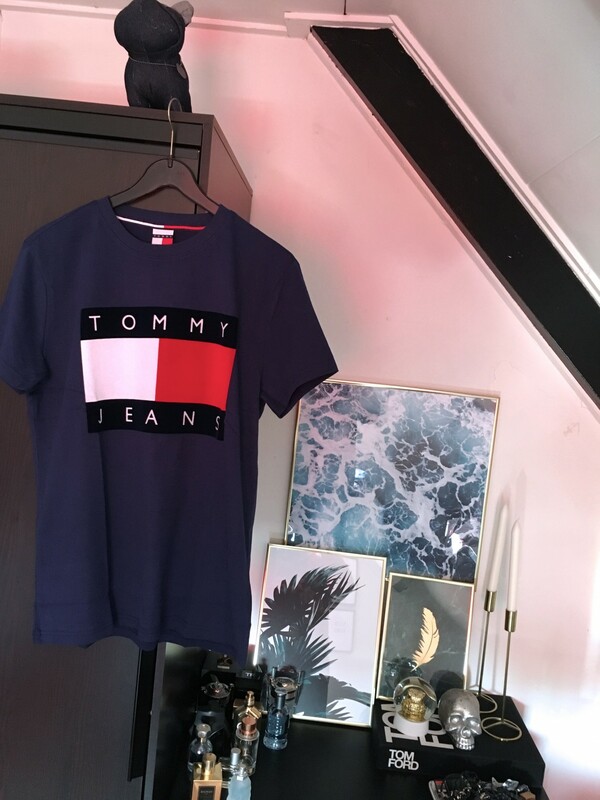 I know I posted a few months ago a outfit post where I was wearing a Tommy Jeans Sweater. But I borrowed it from Wendy in Paris. But I was still obsessed and it is still on trend. 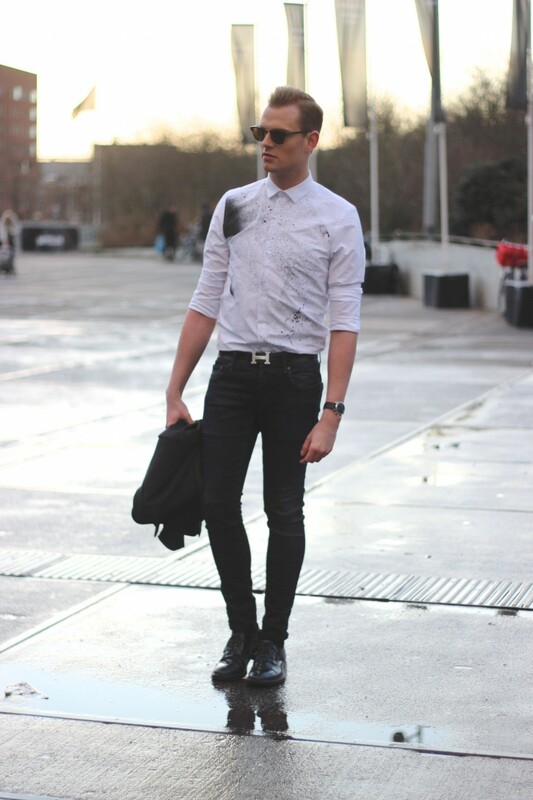 So while online shopping at Asos.com I was in shock that they have this in stock. I bought immediately. What do you think of this blue color? 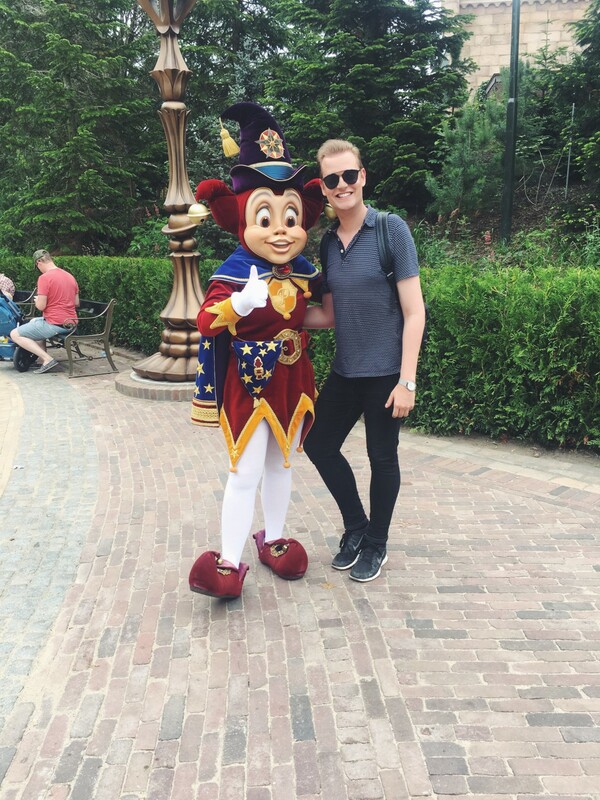 On the first week of my vacation I went to the Efteling with my colleague. We had such good weather during the day and of course I had to take a photo with Pardoes. 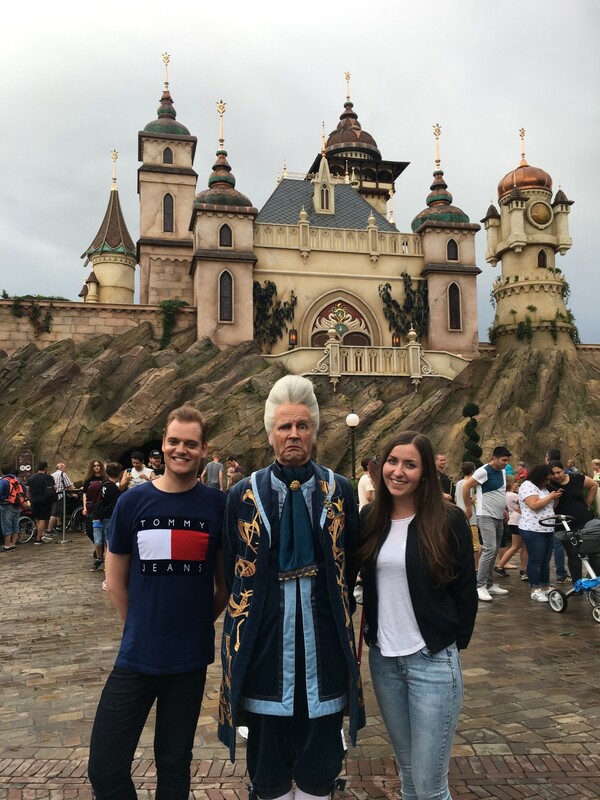 Have you been already to the Efteling in July – cause they opened a new dark ride “Symbolica” and I have to say: I LOVE IT!!! My vacation consist of a lot of sleeping and relaxing – which I really needed! But I also went to Designer Outlet Roermond with my Dad. They have 50 new stores and it’s a lot bigger. 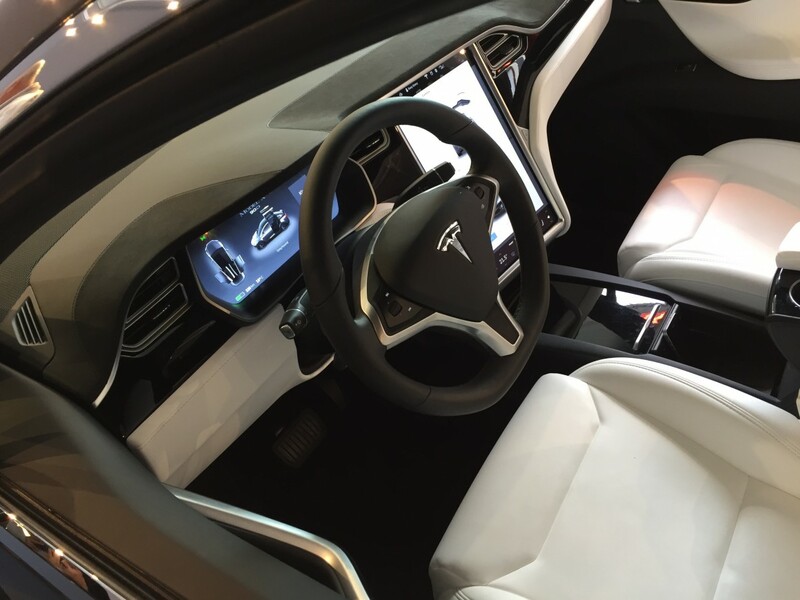 My Dad and I are really Tesla admirers so of course I had to sit that car. The girl was so sweet to tell everything and technological novelties. I really need to win the lottery to buy this car. After that we visited my family cause live nearby the outlet. 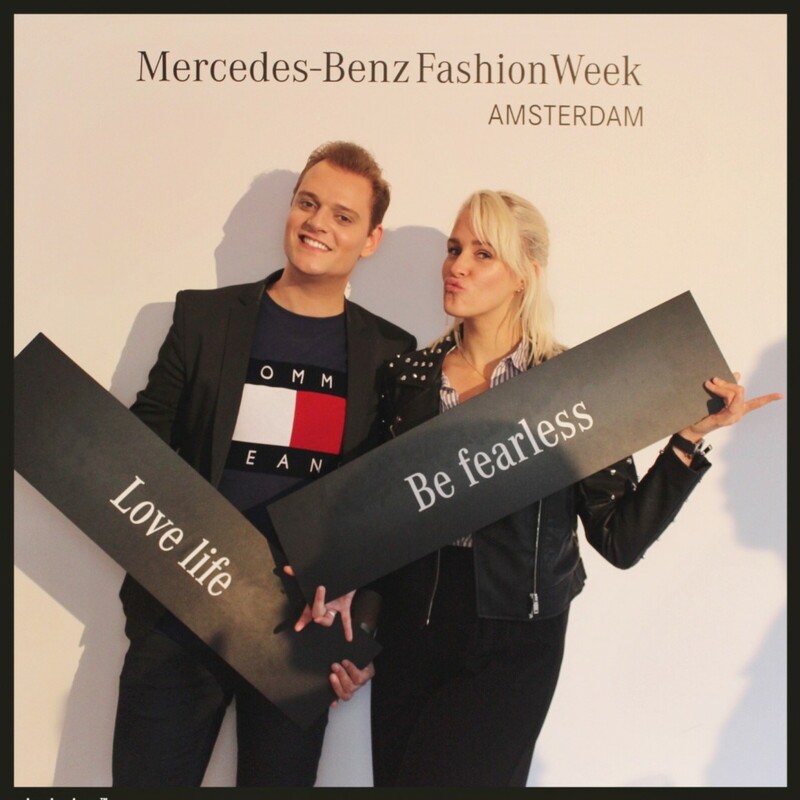 With Chantal I went to Amsterdam Fashion week. It was her first time and we both enjoyed one show. 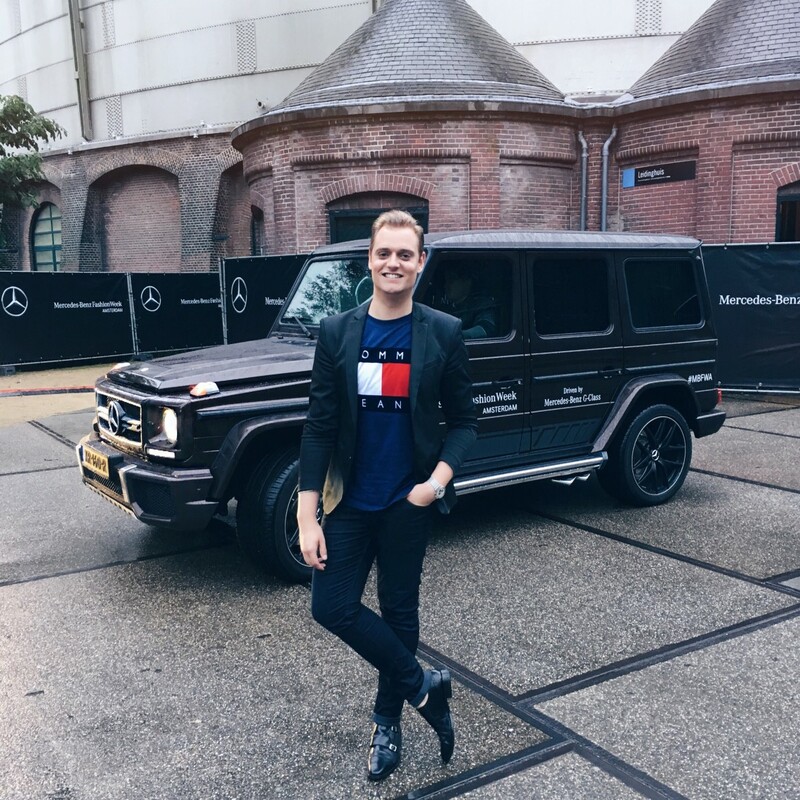 I always park my car nearby the location from Fashion Week, this time we had a fabulous Mercedes Benz Jeep that picked us up. So cool. Posing in front of Symbolica with O.J. Punctuel and Gereldine. Look at his face. Get’s me laughing every time! Oh and yes, I went again to The Efteling. This time with friends. Decisions, decisions, decisions. 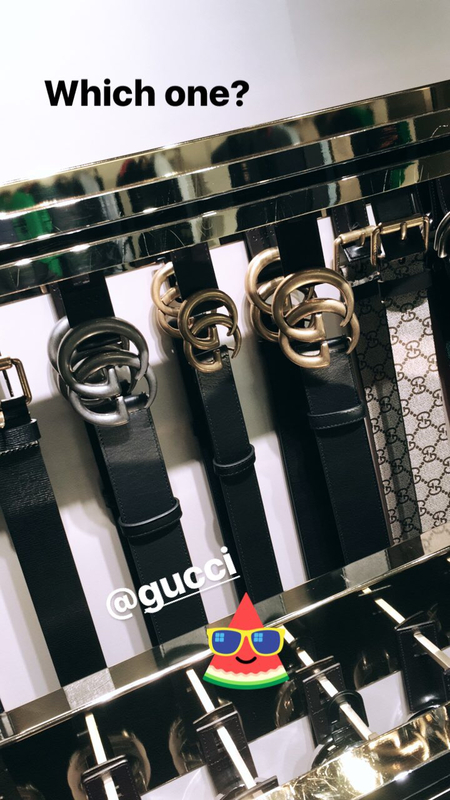 For a long time I’m thinking about to buy a Gucci belt. I prefer a silver buckle and in the store they only have the middle buckle in gold and not in silver. What do guys think: Gold or silver? In the last weekend of July it was time for Sushi with Gereldine! 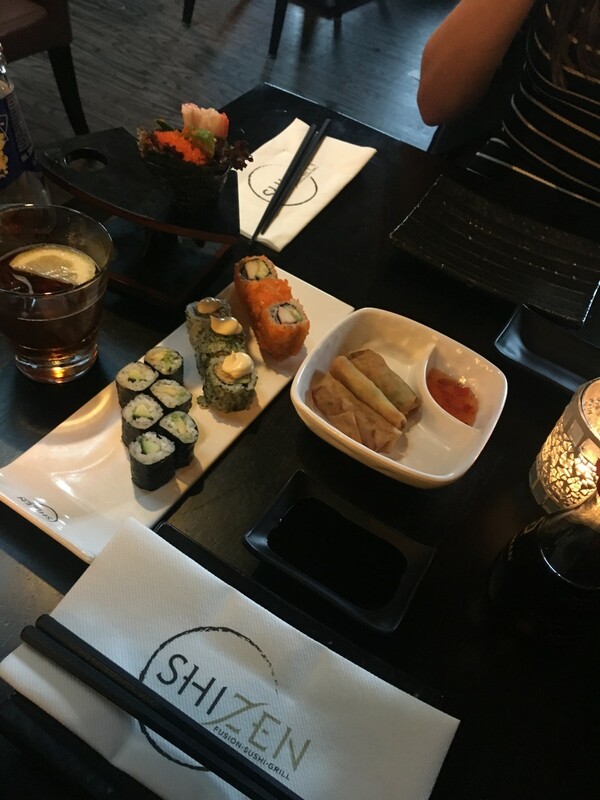 Shizen in Vianen (nearby Utrecht) is still my favorite sushi restaurant. I prefer this one before Sumo. So this was my July diary post. I hope you enjoyed it. Also let me know what you did last month. Are you on vacation or something else? P.S. Cause my colleagues are enjoying their holiday – I’m super busy at work and besides that I’m back in the gym as well. After years. So I’m gonna try to post every week a blog post and try to post as much on Instagram. But for now I have to think about myself and getting more in shape. I hope you understand! Ziet er uit als een heerlijke maand! Ik zou voor de de riem met de zilvere gesp gaan. Heel mooi, ik wil ook wel. Can’t wait for New York. I love the blue color of the shirt! What a great find! Leuk dat je het designer outlet hebt bezocht. Is het wat, dat nieuwe gedeelte? Ik woon er kort bij in de buurt maar kom er niet zo vaak. Ja is wel leuk die nieuwe winkels. 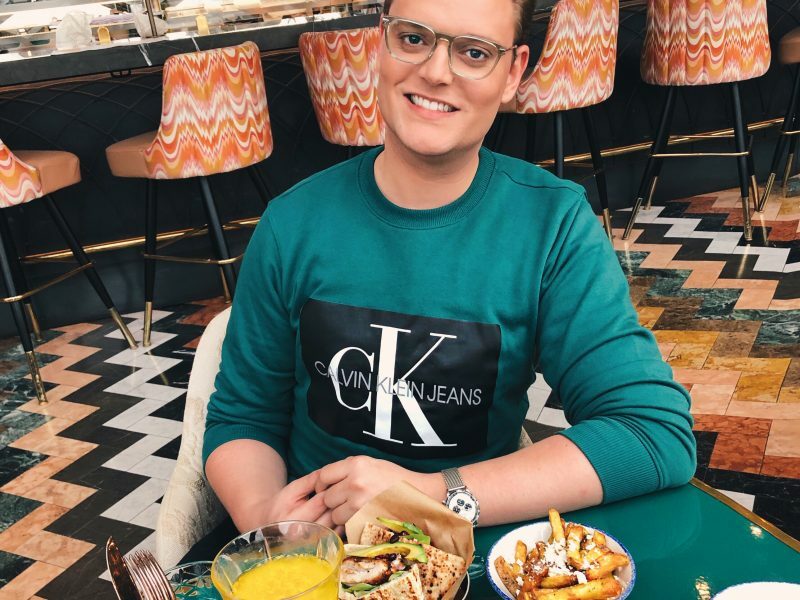 Ik zou zeker even een kijkje nemen als je er toch zo dichtbij woont! Ah you have to go!!! You’ll love it. Wauw love deze foto’s ! Leuk zo’n artikel om te lezen! wat een heerlijke maand zeg! Ik zou ook voor de zilveren gesp gaan. Mijn ervaring met designer outlet’s zijn slecht vandaar dat ik wel benieuwd ben na je update. Ah thanks!! Als je gaat laat mij dan zeker even weten hoe je symbolica vond!! Leuk de Efteling! Daar zijn wij toevallig ook vorige week geweest :) En die sushi, YUM! Ah hoe vond je de nieuwe attractie? 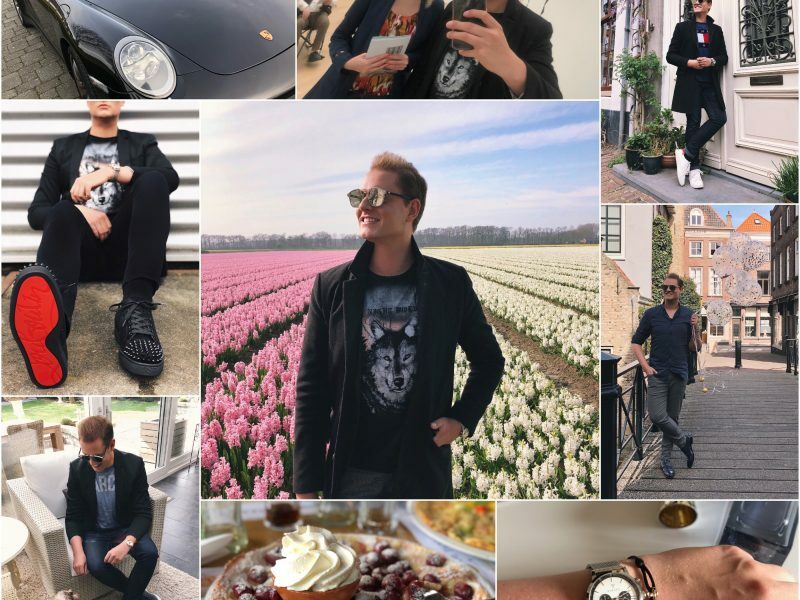 Leuk overzicht en ik vind de zilveren riem an Gucci het mooist. Succes met keuzes maken.